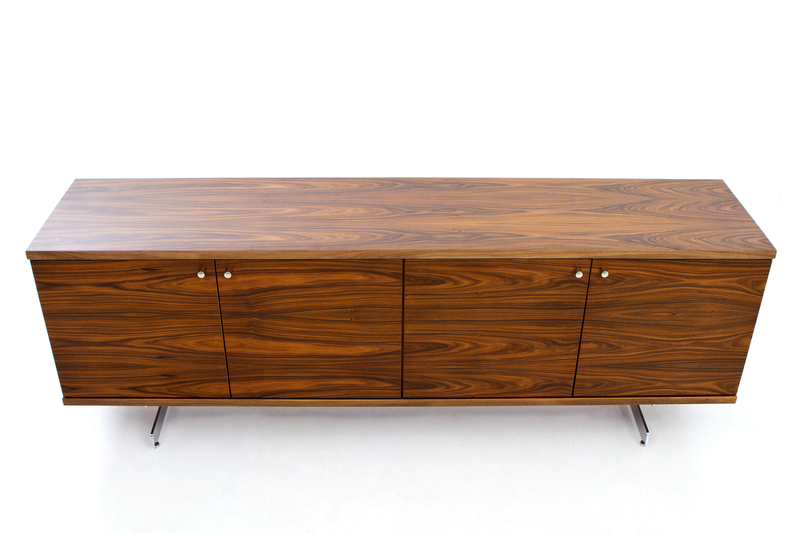 Robin Day’s mid-century furniture has had a particularly rapid resurgence in recent years. But the Delphi collection, designed in 1968, is a bit special: While most of Day’s work was lower cost (such as his polypropylene chairs), this range was made from a rich rosewood veneer and walnut. It was originally intended for commercial spaces, but works equally well in a modern dwelling. Reissued by specialist company Loft. Words Charlotte Luxford, Grand Designs Magazine.